She may only be three but she is already taking care of her paralysed father alone. 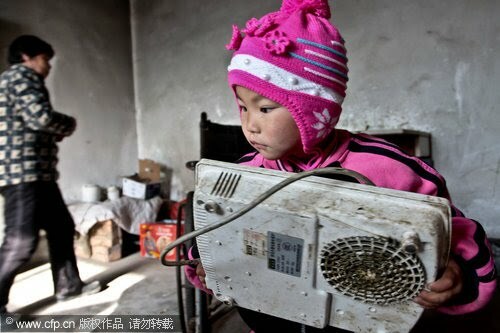 Dong Xinyi has to cook for her father Dong Jian, 26, and also help clean his waste. Xinyi was born to a farmer family in Huanghia town in Shandong Province, China in 2007. Several months later, her mother left home, taking her along when Dong Jian was paralysed after a road accident. 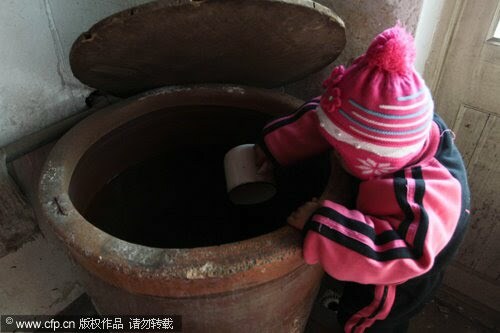 Three-year-old Dong Xinyi helps prepare water for her paralyzed father in Huangjia town of East China’s Shandong province, Dec 19, 2010. Dong Jian, lost the use of his legs after a traffic accident in 2007. His wife then left him and now Dong Xinyi tries to take care of her father. Savannah. 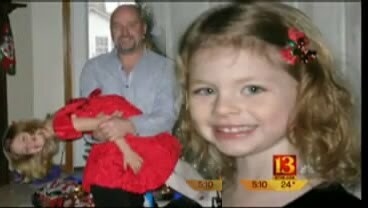 An Amazing 5-years-old-Girl Who is blessed with courage and grace and yes It took a five-year-old girl to save her father's life. She remains calm on the phone talk to the 911 operator.” She also try to get her dad to stay calm by using her own angelic words. She's Truly His Little angel Now!